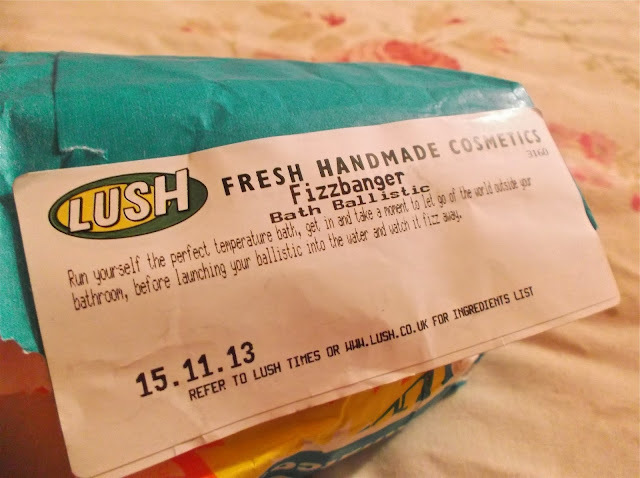 Jesska Denise: Lush It Up - Fizzbanger Bath Ballistic. 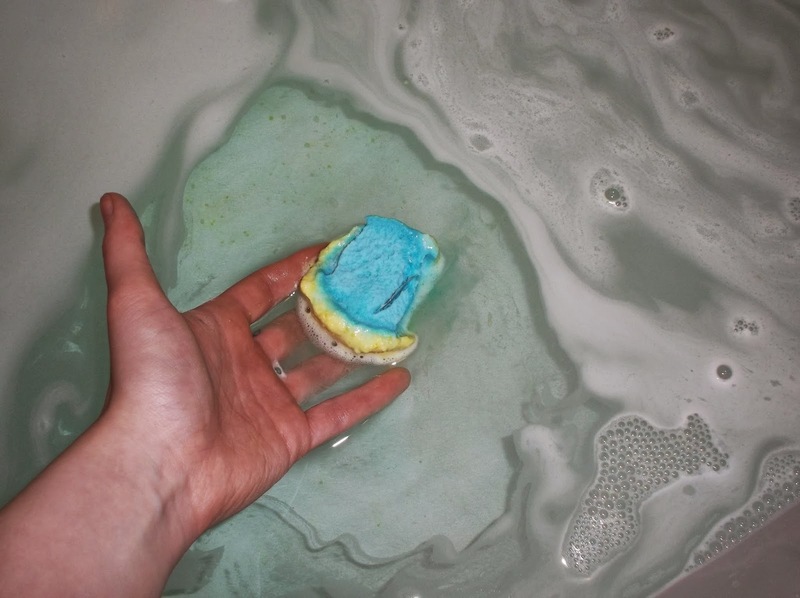 Lush It Up - Fizzbanger Bath Ballistic. 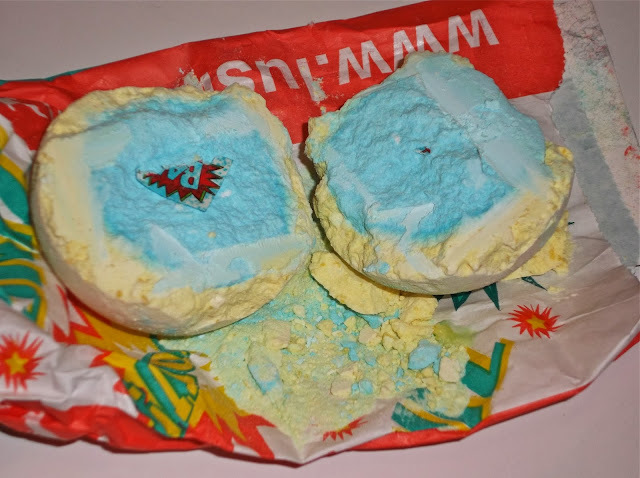 Lush 'Fizzbanger' is one of the Lush products I've been wanting to try out for some time now. As luck would have it, one of my friends got me one for my birthday last week and I couldn't wait to use it. The smell of it alone is incredible. So like a little child, I hauled myself off to the bathroom, ran myself the perfect bath as instructed and let the 'Fizzbanger' do it's thaaang. When I popped it into the bath it began to swizz around like crazy. Spinning from corner to corner releasing it's frothy bubbles. It was in entertaining to watch, not so fun to try and photograph mind you. My bathroom was engulfed by citrus and cinnamon scents, everything I love from a bath product. Cinnamon is my favourite scent and I love it even more around Christmas so I was instantly drawn in. I split it into two to make it last longer as you really don't need to use the entire ballistic. I think even a quarter of this would have sufficed but I plopped in half of it anyway. If you're going to split it in half like I did, be aware that you will most likely end up cutting through the little piece of paper on the inside that says 'Bang'. This is the little surprise that awaits you inside the ballistic and floats around the bath when the whole thing has fizzed out. It was also pretty hard to chop through and obviously crumbled quite a bit but worth it just to make the ballistic go that little bit further. If you have any tips for splitting these bad boys in half, please comment below as I nearly lost a finger. The water turned an array of different colours before it settled on this gorgeous aqua green shade. I was surprised by how many bubbles this produced as usually the bath ballistics can be a little hit and miss and I just end up adding a drop of bubble bath but this was perfect. The water was quite creamy against my skin and I really felt like my skin was getting a little treat in the bath. Especially as when I stepped out my skin was super soft and silky. Just what it needed after a long week of work, college and battling the elements. Love this! I live in a house with no bath for the moment, gutted! I love Lush!! !